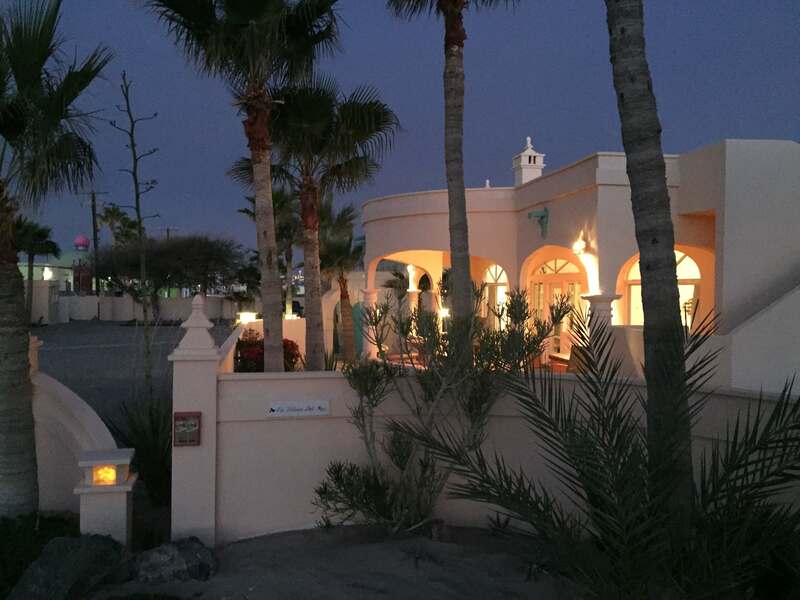 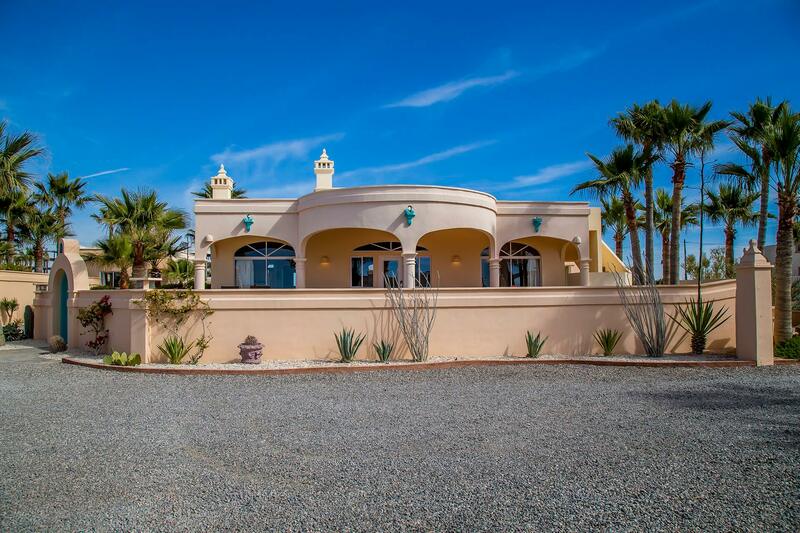 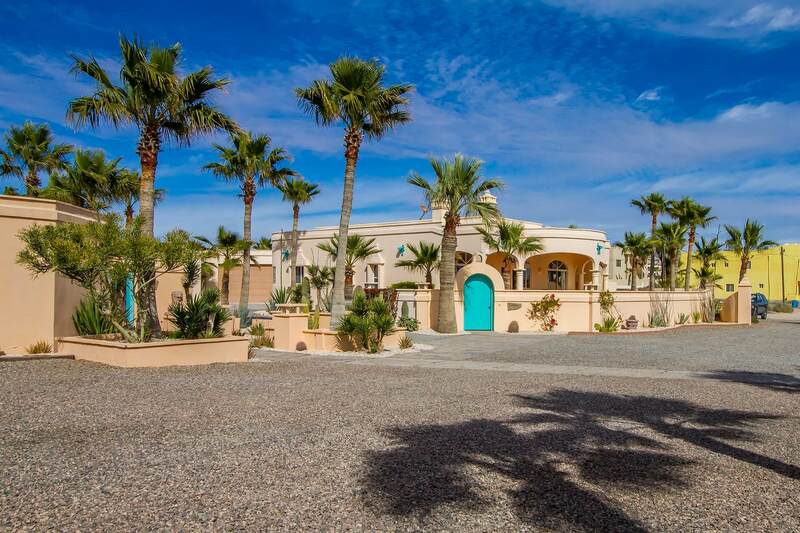 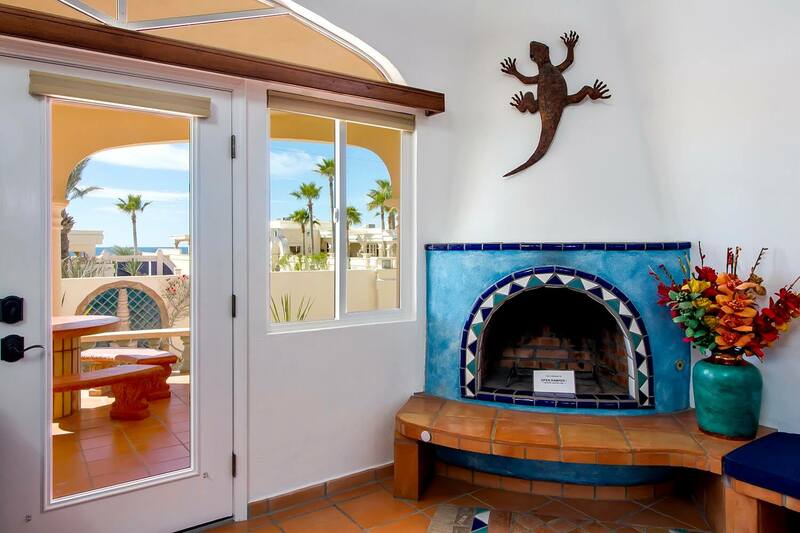 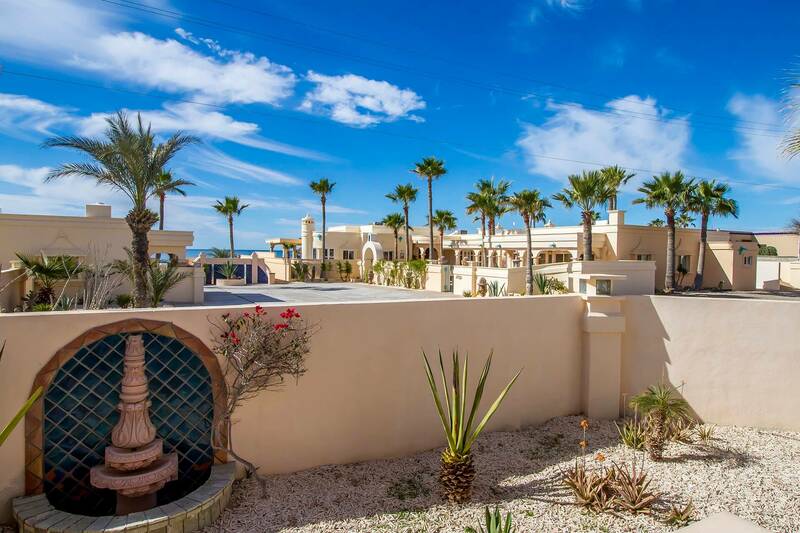 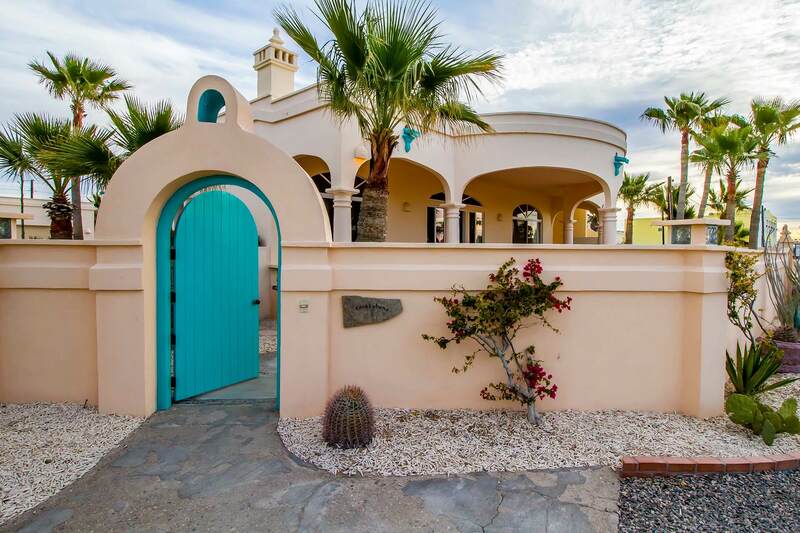 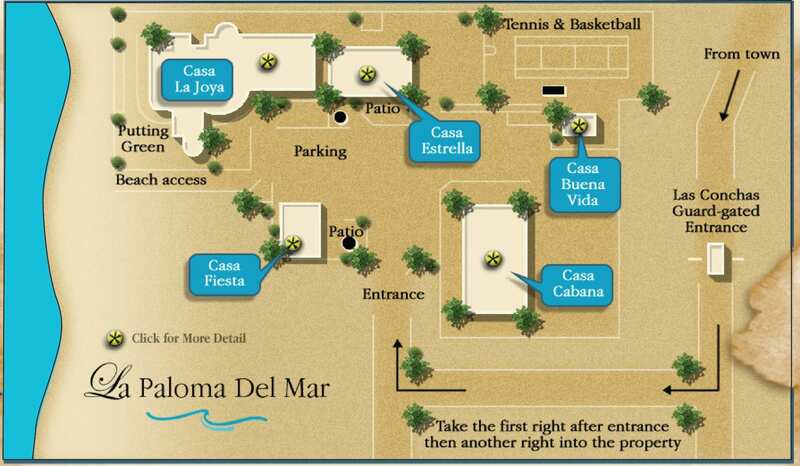 Casa Cabaña is the second main home that makes up our very special La Paloma del Mar estate. 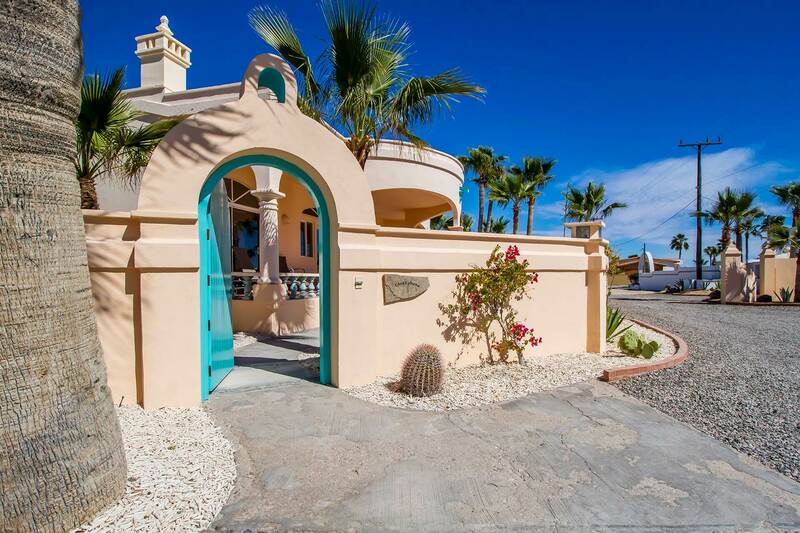 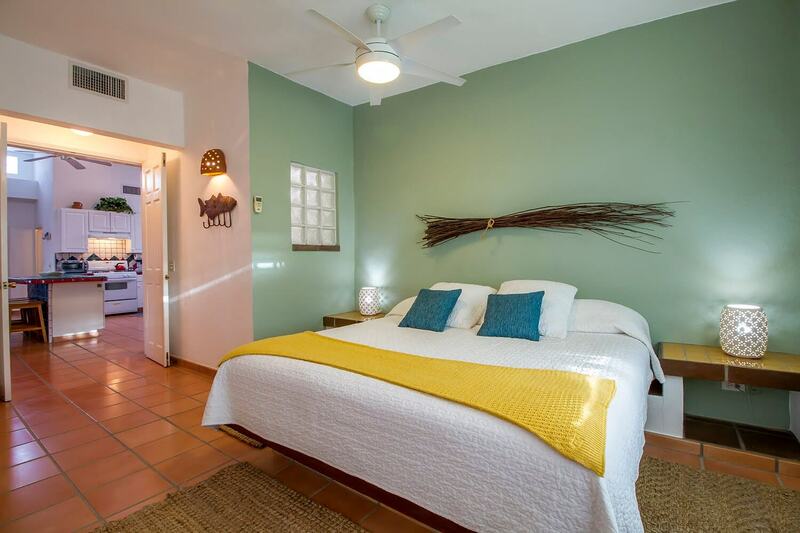 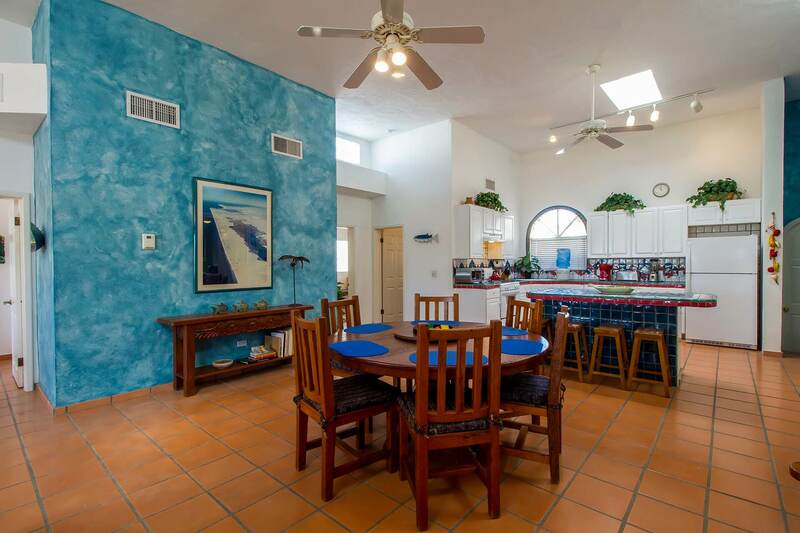 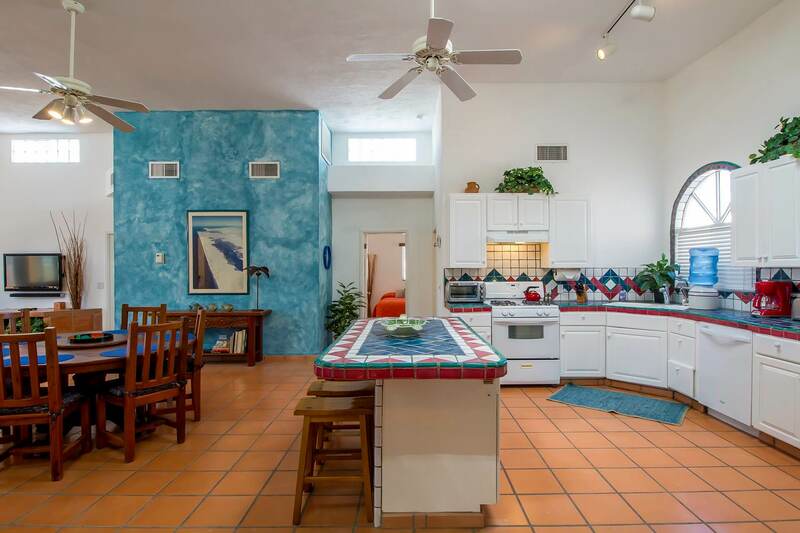 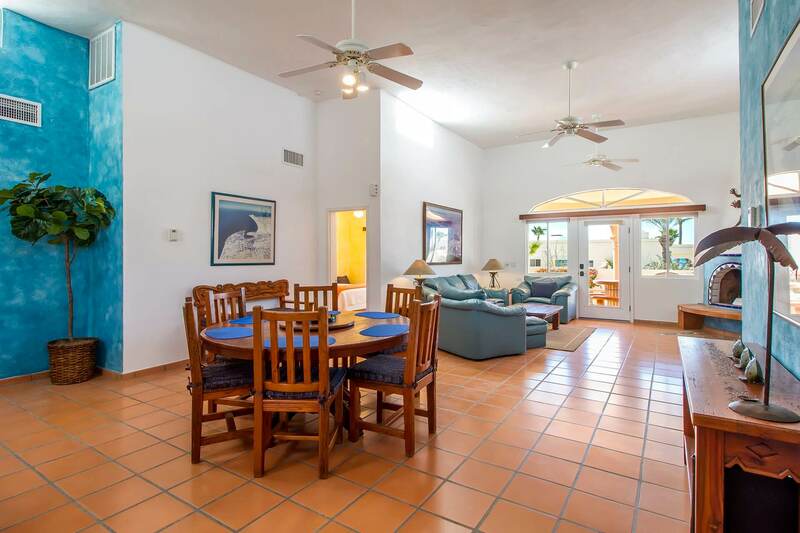 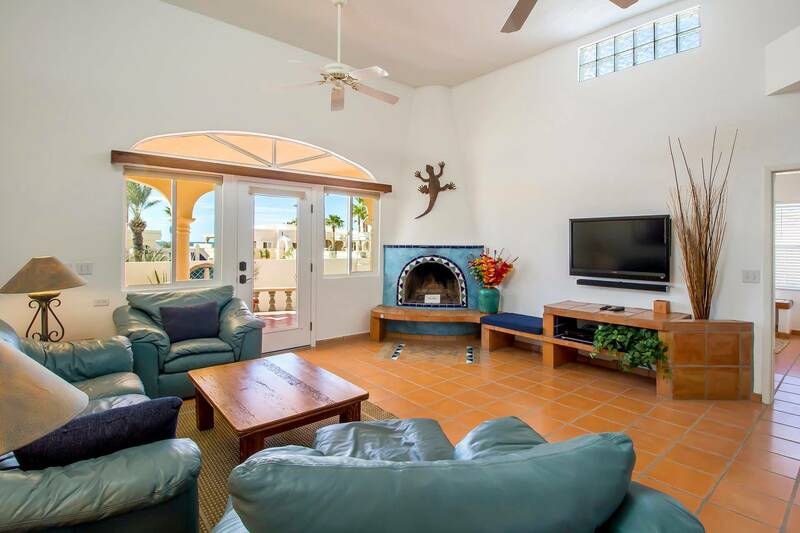 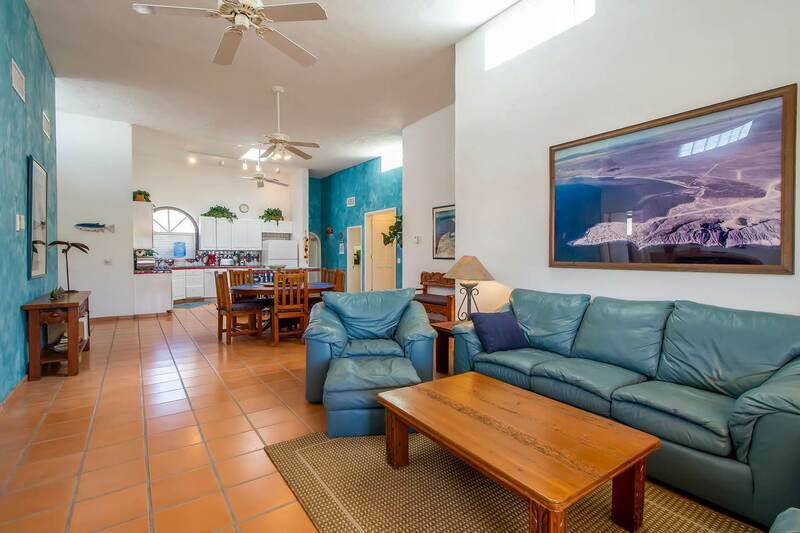 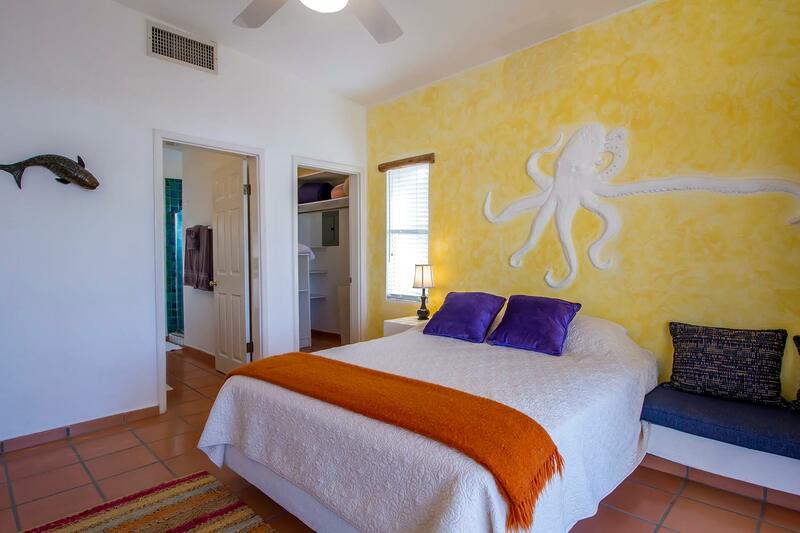 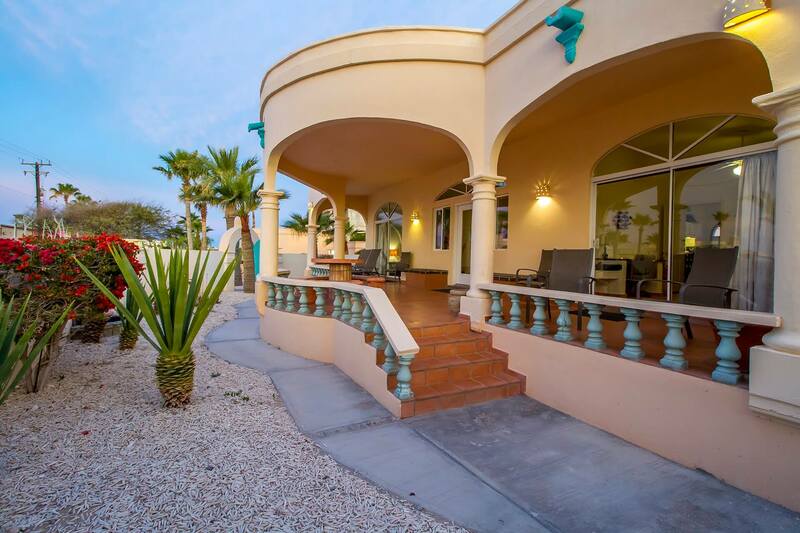 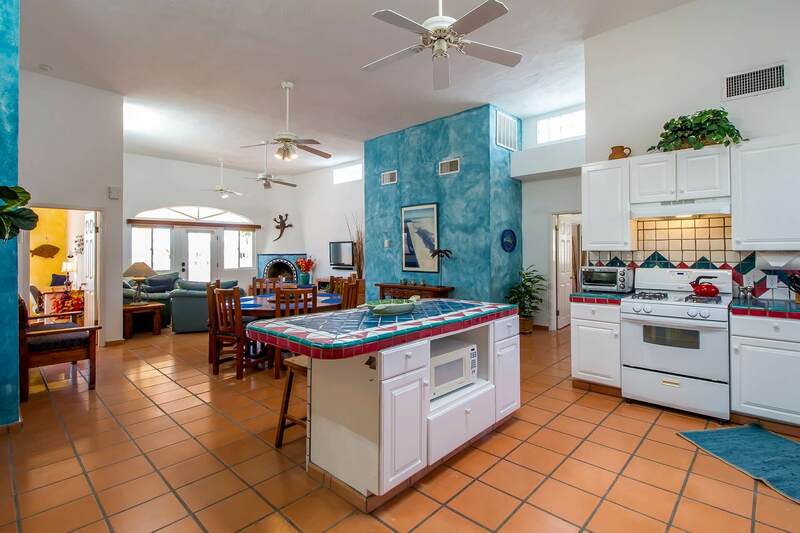 Casa Cabaña is only 50-60 steps to the beach and features 4 bedrooms, 3 baths, private patio and a rooftop deck. 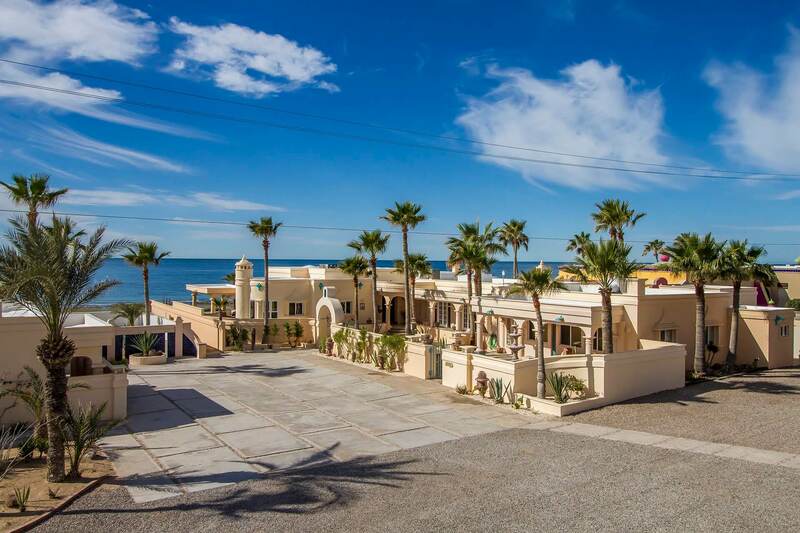 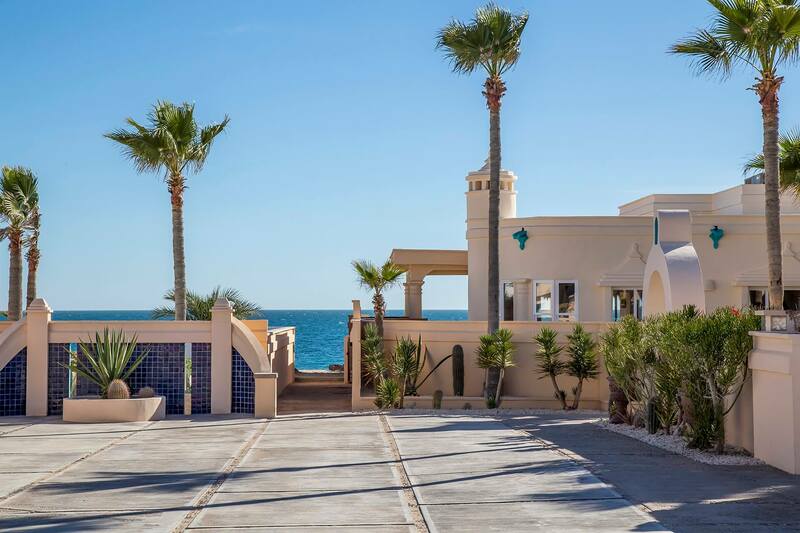 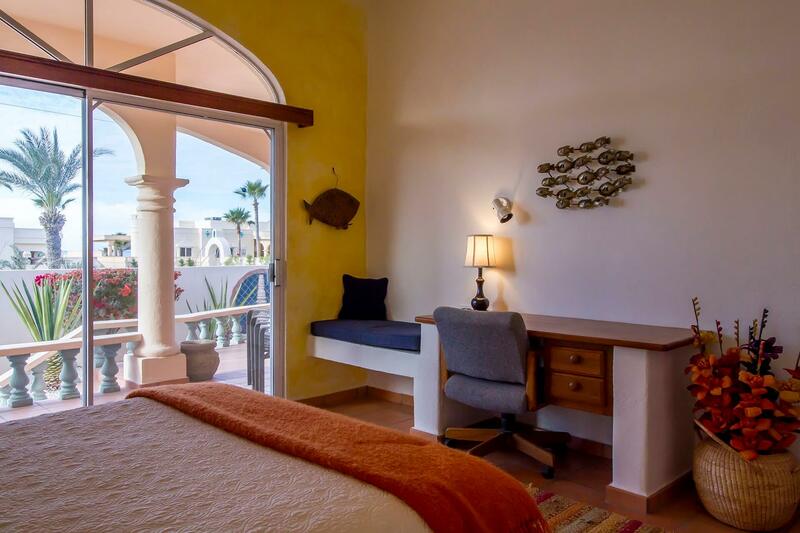 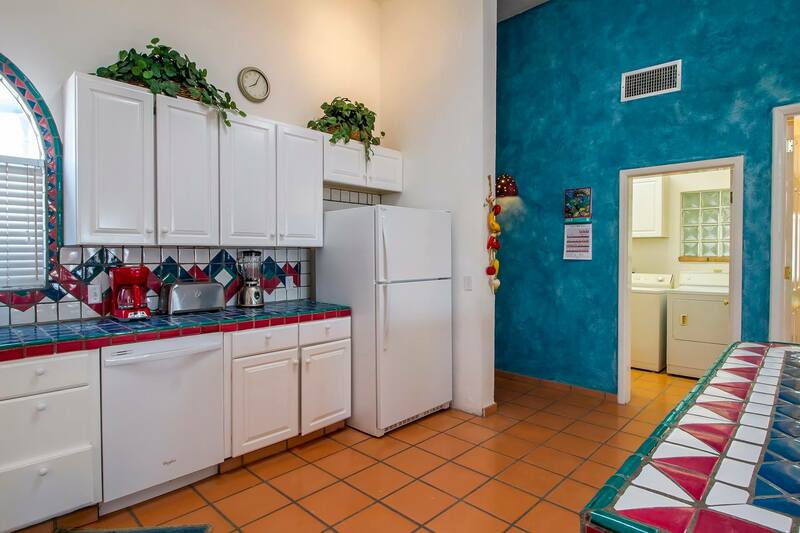 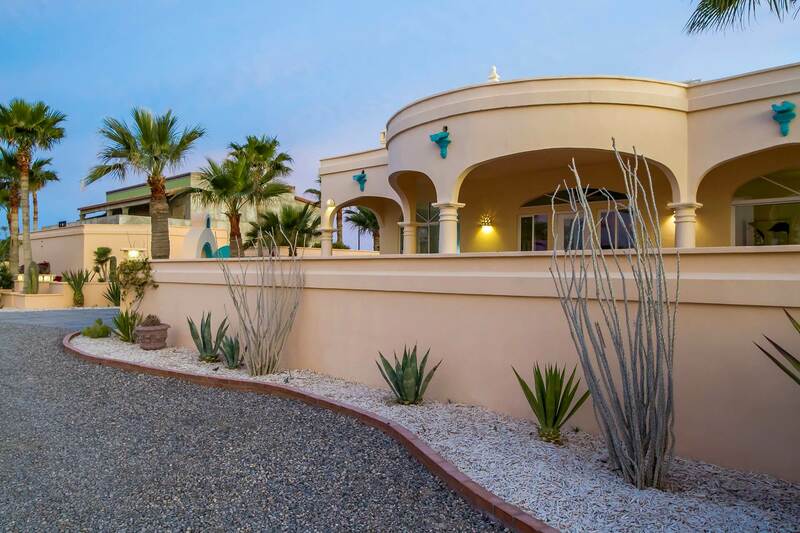 With ocean views, it's design and ambiance will make your Rocky Point experience simply the best! 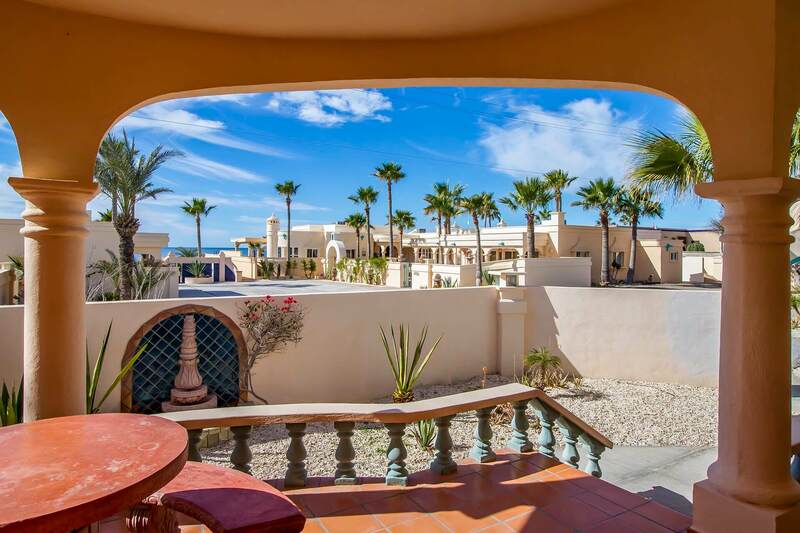 Below is the view from the rooftop sunset deck, only 50-60 steps to the beach! 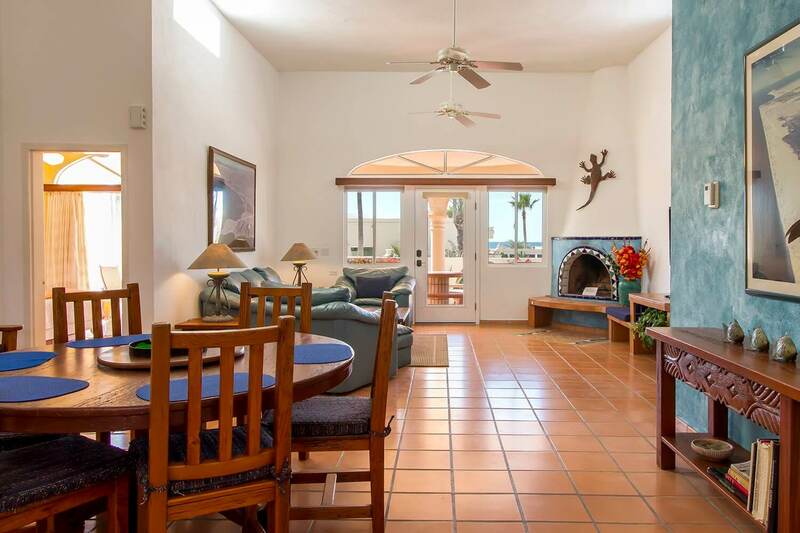 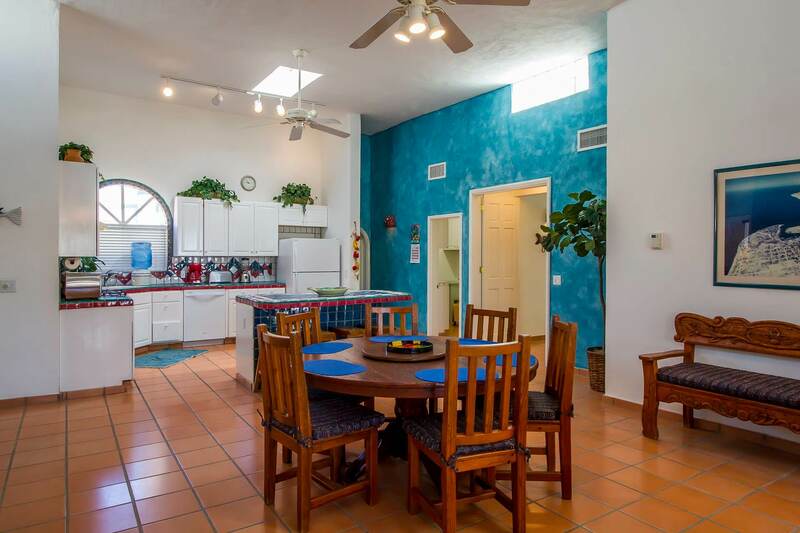 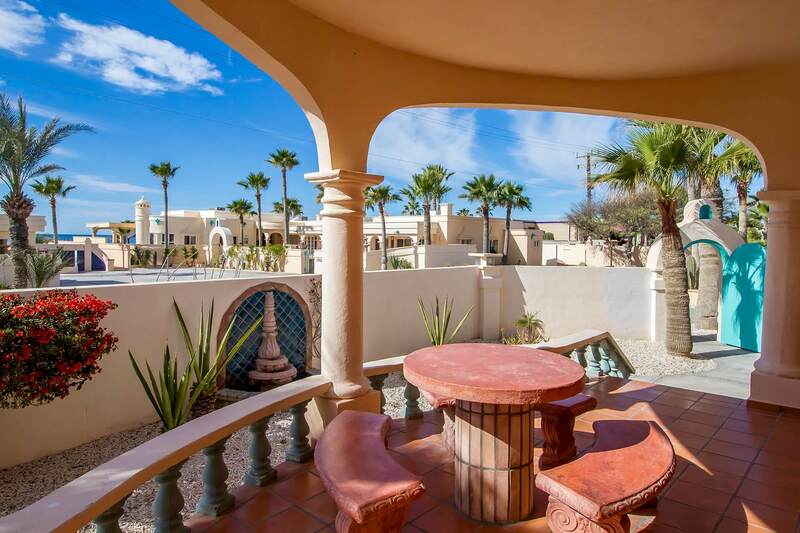 Casa Cabaña is a spacious 4 bedroom, 3 bath which can easily become a 5 bedroom, 4 bath by adding on our attached "La Casita" studio. 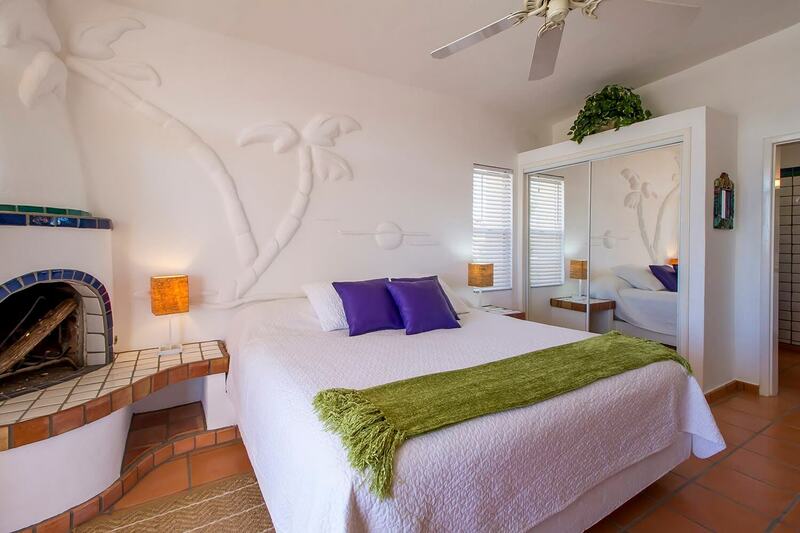 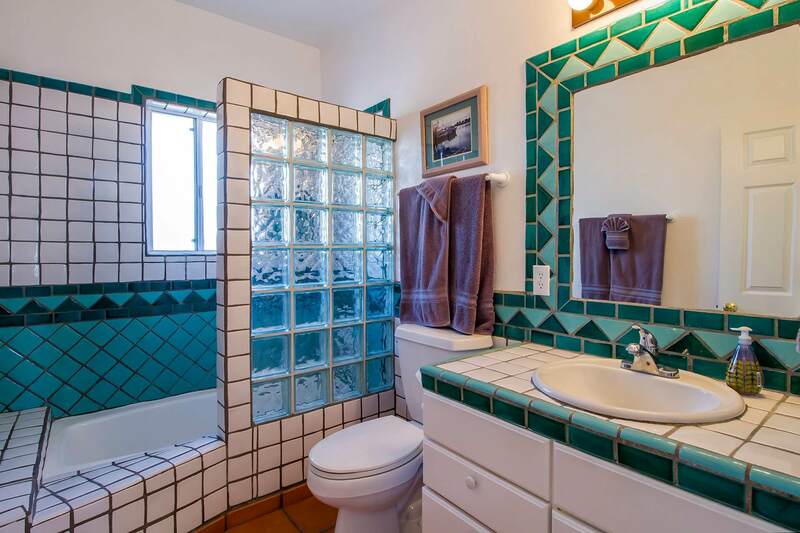 The master bedroom & bathroom is below. 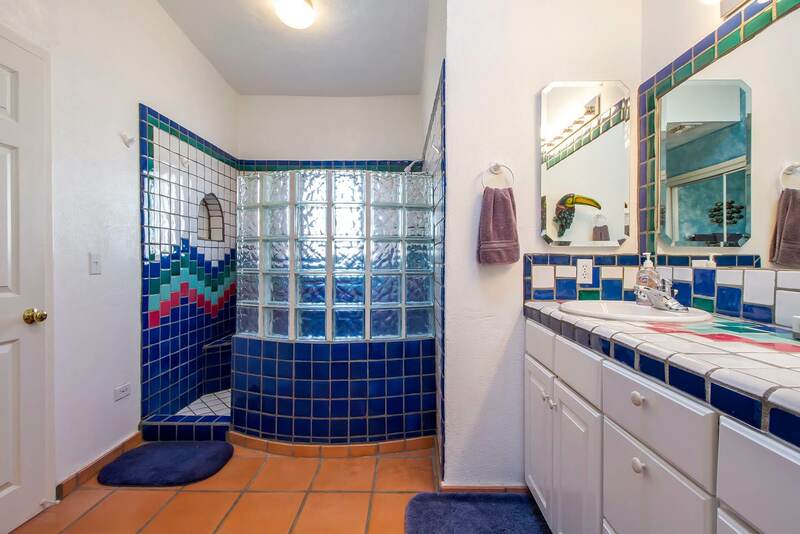 Below, the second bedroom and it's own bath. 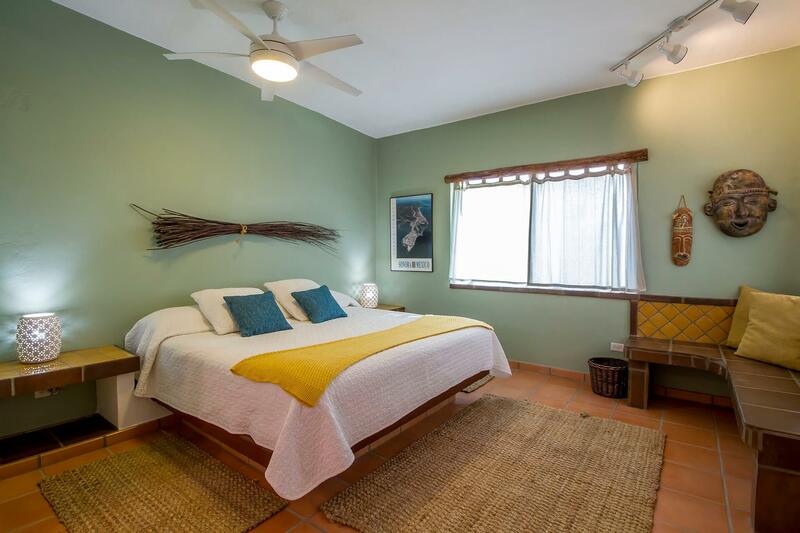 Bedroom number 3 has a comfortable king size bed. 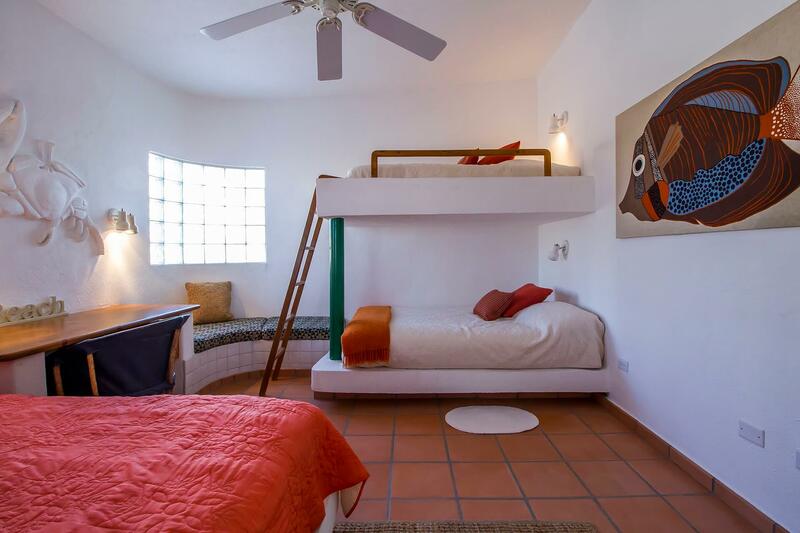 Bedroom number 4 has two double beds and a single bed (bunk) with a full bathroom right outside the bedroom door. 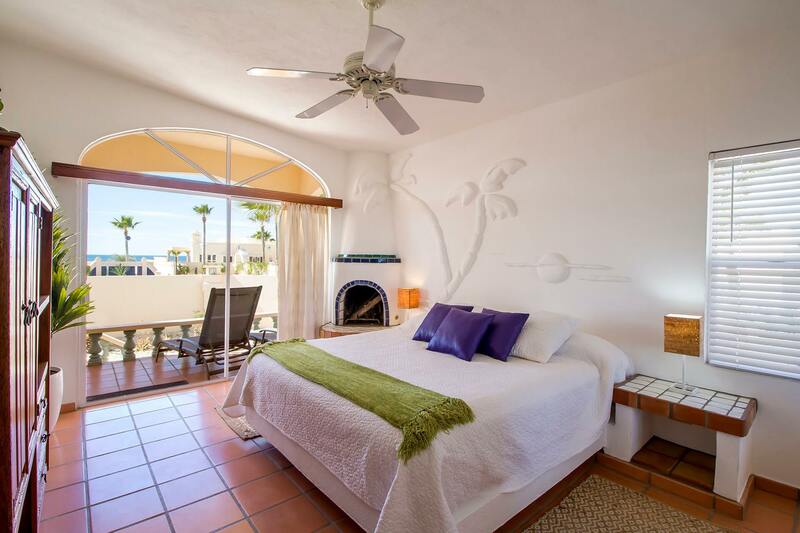 There are ocean views from the living room, 2 bedrooms and the "sunset" rooftop deck. 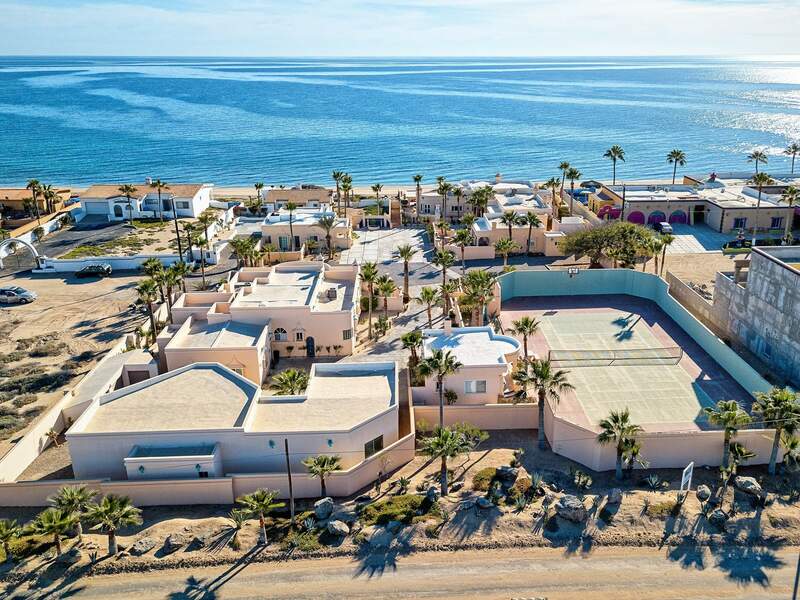 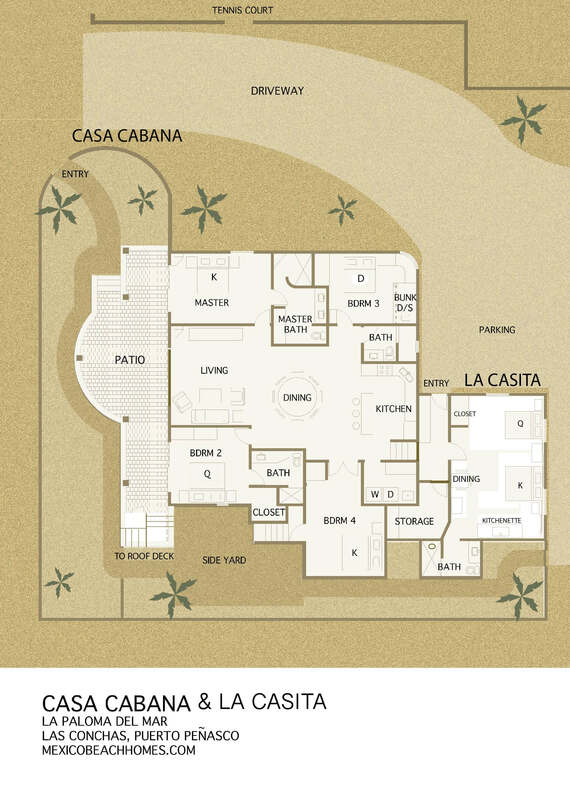 Below is the Casa Cabaña floor plan and the La Paloma del Mar site plan as well as a birds-eye view of the property. 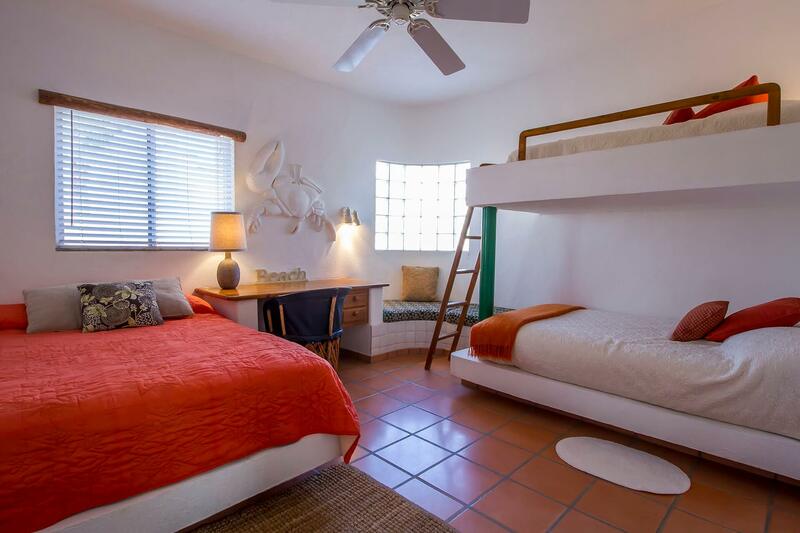 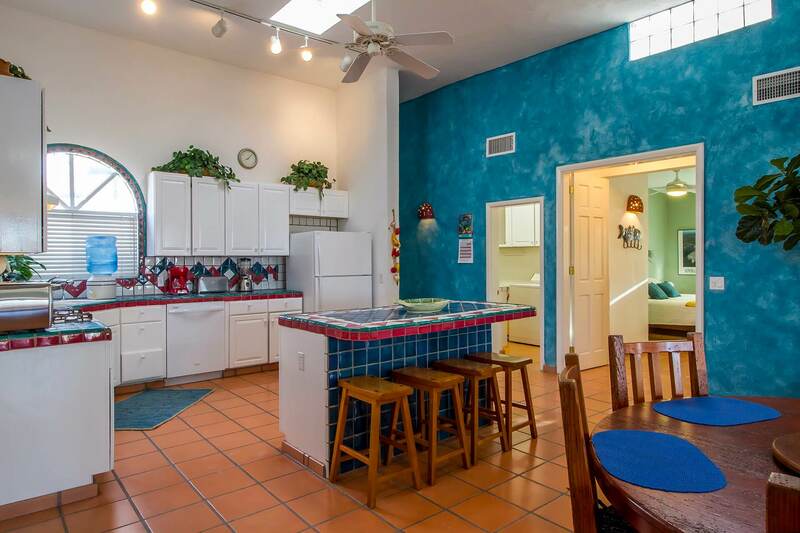 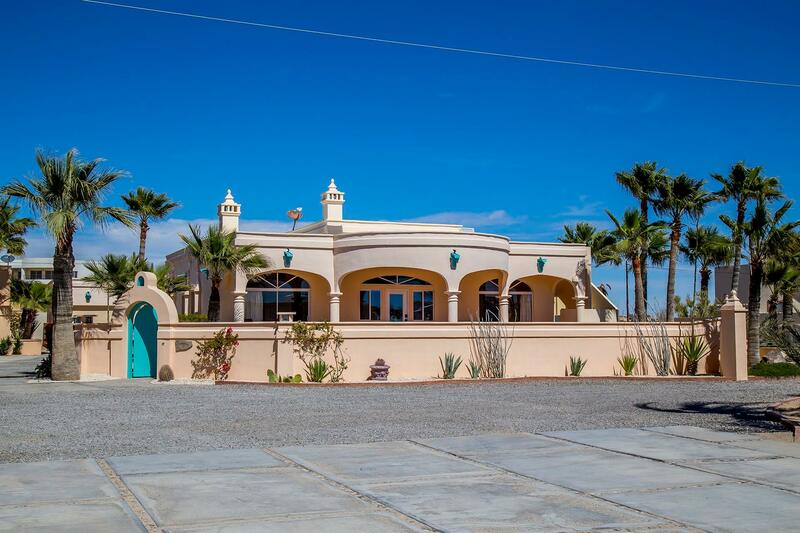 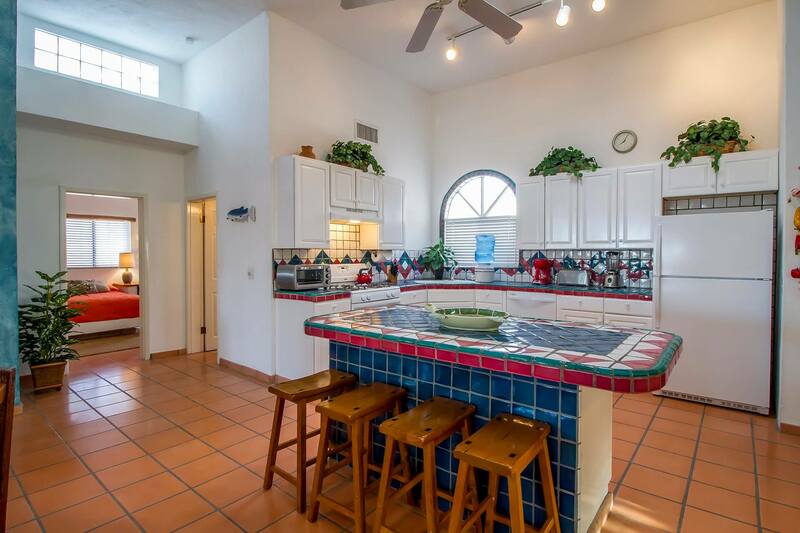 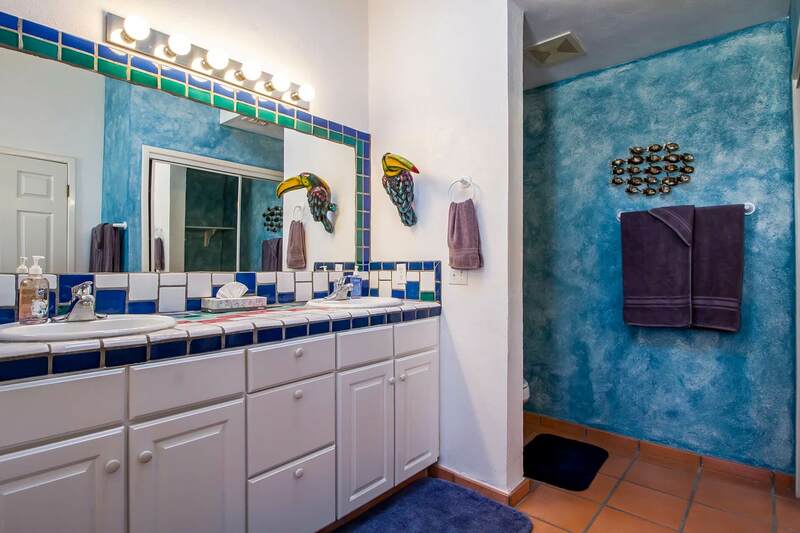 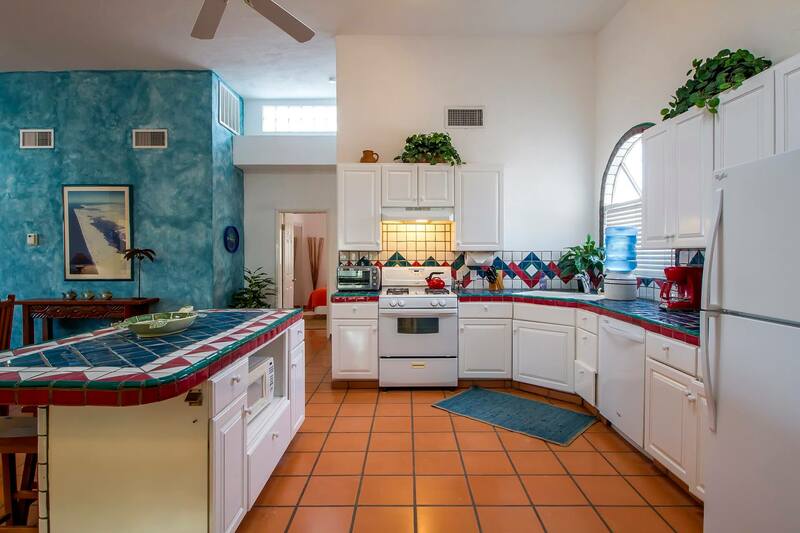 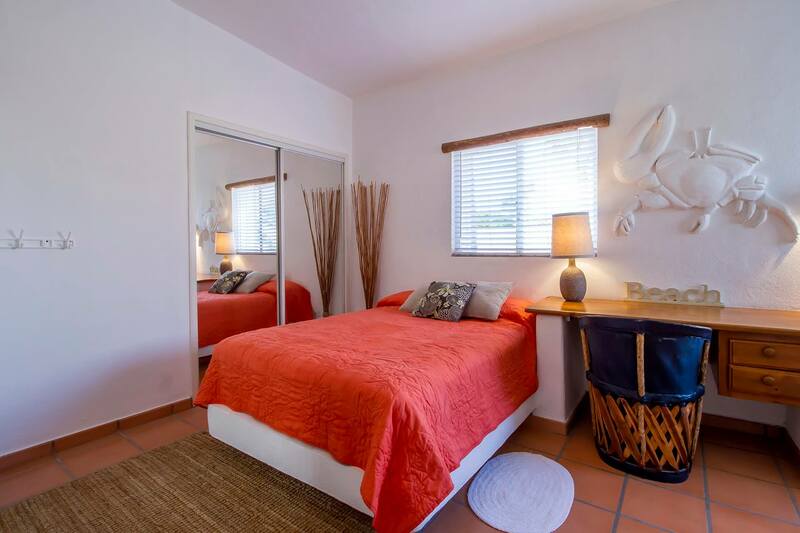 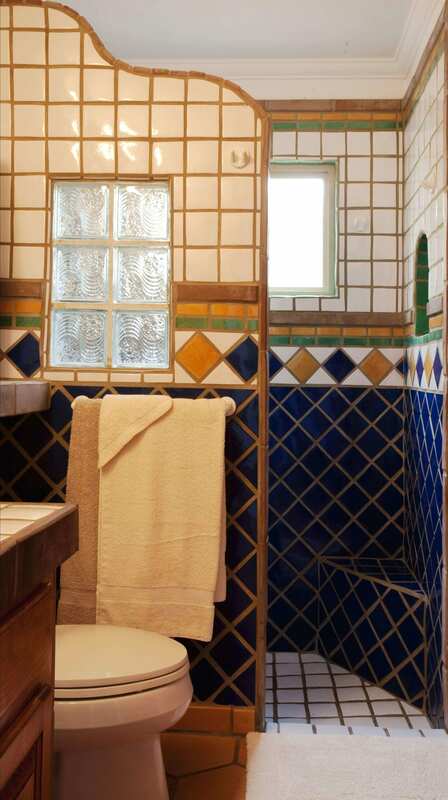 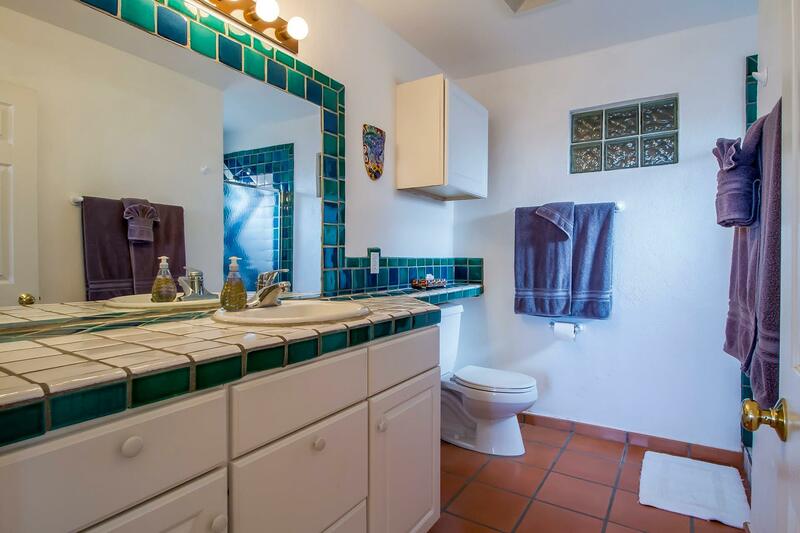 Note: Our "La Casita" studio can be added to Casa Cabaña to make a 5 bedroom, 4 bath combination. 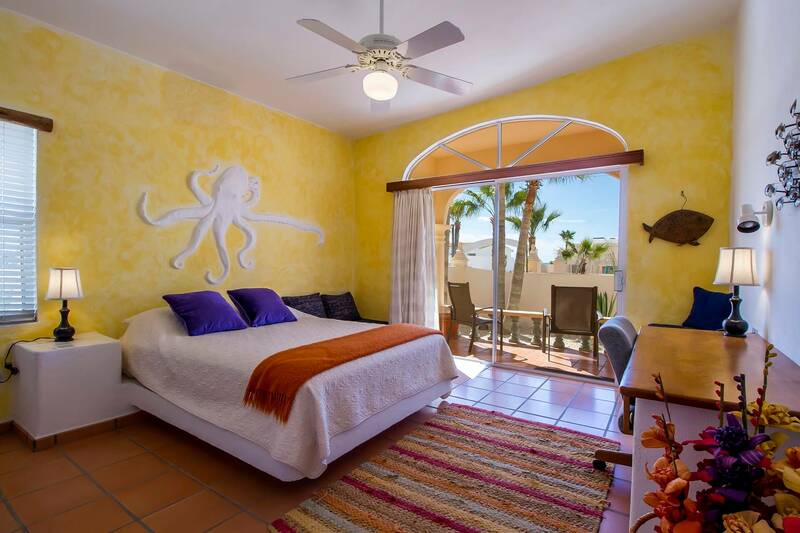 Interested in renting Casa Cabaña?